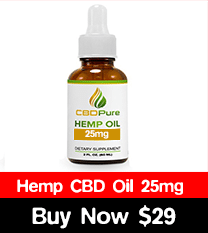 Adding CBD oil supplements in your daily routine is a thing many people are interested in but there is always a confusion regarding its authenticity obviously no one wants to use a thing which is not proved to be a benefit for health free of all the impurities and other thing is if using this drug will let them fail a drug test and become a problem for them is a genuine concern so this article must be of use to you. Not only athletes but normal people are also interested to use CBD oil and these products have the tendency to move you and shake you. It will make you one with the best personality and able you to enjoy good things life have to offer.So everyone asked this question that whether CBD shows up in a drug test. First you all have to understand what is a drug test? When to get a CBD drug test? 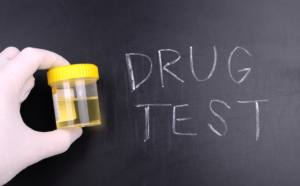 A drug test is also called drug screening in which they analyze your blood, urine, sweat and saliva not at once but it’s up to them which thing they choose to test.they test you for any illegal substance or drug presence in your blood and saliva. Most common drug test is UDT which is urine drug test and that also is of two type one is screening test and other is confirmatory test.in screening test they use an immunoassay basically a biological test in which antibodies that detects the drug present in the metabolite. Once you test positive for screening test then confirmatory test which involves a gas chromatography and mass spectrometry which is an analytical chemistry technique it confirms that a banned drug is present in your urine. Drug tests are so efficient that they tell about past drug history also.it tells all about what type of drug in how much dosage and how often it is used, there is a time frame for drug which makes it detectable after a week also. Depending on where you live and your line of work, you may be given a drug test before being offered a job or in regular increments throughout your period employment. Whether you can be tested for drugs or alcohol at a job depends on the laws in the state where you live. Mostly drug tests are done to check the abuse of drugs but sometimes can be done for completing some requirements. Screening tests are for checking if the person is using marijuana, opioids, cocaine or alcohol and other prohibited drugs.Marijuana is tested through screen tests because it has tetrahydrocannabinol in it which is a psychoactive compound and mostly shows in metabolite. It can cause brain to get high which is the main purpose to test a person for.